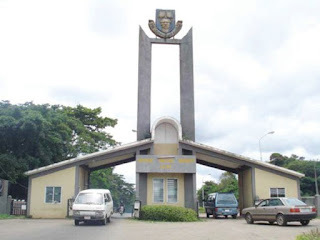 The Academic Staff Union of Universities (ASUU) has warned the Obafemi Awolowo University (OAU), Ile Ife, against conducting examinations when 70 per cent of courses have not been taught. The university, which called back its students to school on Monday, has scheduled the examinations to start on January 14. But members of ASUU at the university, called by their national body, said the examinations would be “null and void” if conducted and warned students against participating in the examinations. Lecturers of the university are divided over the strike as those in the parallel Congress of Universities Academics (CONUA) refused to join in the nationwide strike of ASUU which began on November 4. The management of OAU said the examination will begin on January 14 despite that some students have not been receiving lectures for the past three months. However, ASUU, in an open letter to the students signed by its chairman, Adeola Egbedokun, warned that any examination conducted by the school will be null and void. The lecturers said a minimum of 12 weeks teaching, one compulsory lecture-free week and two weeks of examination as provided by the university regulations had not been adhered to. ASUU accused the OAU management of pressuring its members to set examination questions for courses and topics not taught. The letter read in part: “All these infractions are attempts by the University administration to whittle down the quality of teaching and it calls to question the integrity of the degree of this university under this current administration.